The group is urging people around the globe to join non-violent civil disobedience to demand that governments address climate change. ​"We are facing an unprecedented global emergency. Life on Earth is in crisis: scientists agree we have entered a period of abrupt climate breakdown, and we are in the midst of a mass extinction of our own making," Extinction Rebellion writes on its website, describing itself as an "international movement that uses non-violent civil disobedience to achieve radical change in order to minimize the risk of human extinction and ecological collapse." "The group came together, really out of a sense [of] desperation, frustration… [the group is made up of activists who] are deeply angry with the fact that their own governments refuse to address the catastrophic issue of climate change in any kind of serious way. There's really no Western country at the moment, let alone other countries, that is addressing this in a serious way. It's time for radical action to get necessary action on climate change. For example, in the UK, [the group] is calling for a complete decarbonization of the British economy by 2025, which essentially means that there should be no more use of fossil fuels by 2025," Loewenstein, who is the author of many books, including "Disaster Capitalism," told host John Kiriakou. "Extinction Rebellion is not a political party. 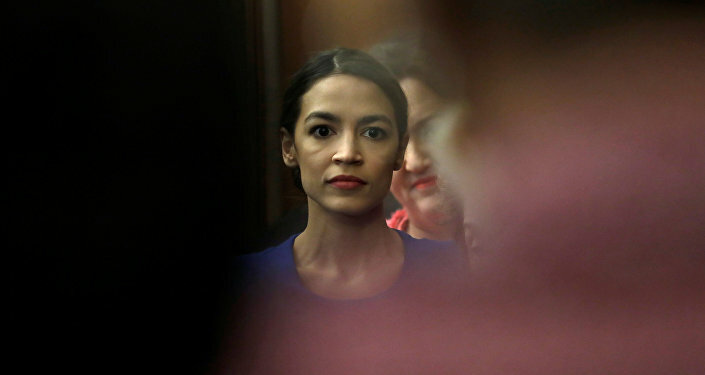 It is a group of activists… they realize that without radical action, things will simply continue to get worse," Loewenstein added. On Monday, protesters blocked four sites in the UK's capital city of London, including Marble Arch, Waterloo Bridge, Parliament Square and Oxford Circus, causing "serious disruption," according to police, the Guardian reported. Some protesters even chained or glued themselves to the Waterloo Bridge. At least 168 arrests were made in London on Tuesday, bringing the total number of arrests of protesters in the city since Monday night up to at least 290. The protests organized by Extinction Rebellion were not limited to London. Demonstrations have been planned in 80 cities across 33 countries around the world. In The Hague, a city on the North Sea coast of the western Netherlands, activists swarmed the International Criminal Court building, while in Scotland this week, more than 1,000 protesters blocked the North Bridge in Edinburgh. On its website, the group explains that it promotes civil disobedience and rebellion because it believes it is "necessary." "Many of the activists would also say that in some ways [we are already too late in addressing climate change]… natural habitat will be radically destroyed in the next decades, because we've [waited too long] to take action. I think that Extinction Rebellion is a very important initiative, and I think that's only going to only to increase [its impact], mostly because I don't see political action in the coming years taking this issue [climate change] seriously," Loewenstein explained. 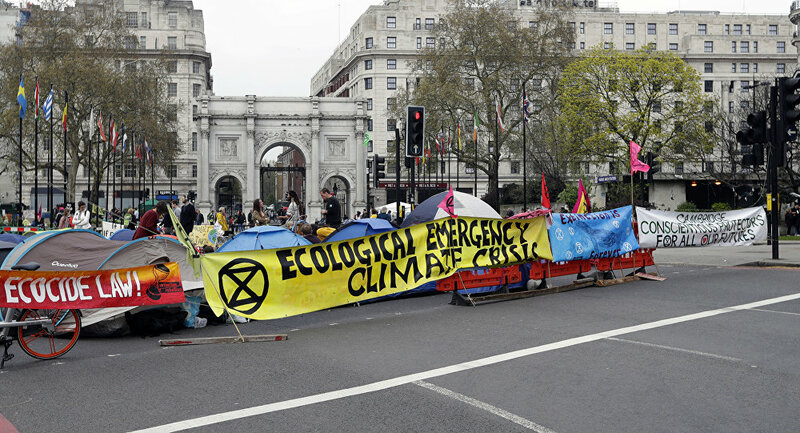 An Extinction Rebellion manifesto calls for all governments to reduce carbon emissions to zero by 2025, as well as to provide for the establishment of a "citizens assembly" that would establish an emergency environmental plan of action "on climate and ecological justice." According to Kiriakou, many articles on climate change appear in the business sections of newspapers, rather than the news sections. "Sadly, I believe, disaster capitalists will make a fortune [on issues like climate change]," Loewenstein said. "So the question is, how do we address that and challenge those companies that [seek] opportunities to not help the situation, but make it worse by dividing the rich and the poor?"